Back in my retail buying days I spent tons of time in the city, and was always up to date on where to eat and stay. These days I’m feeling like a bit of a country bumpkin, so I made a few quick trips into the city to see what’s new. 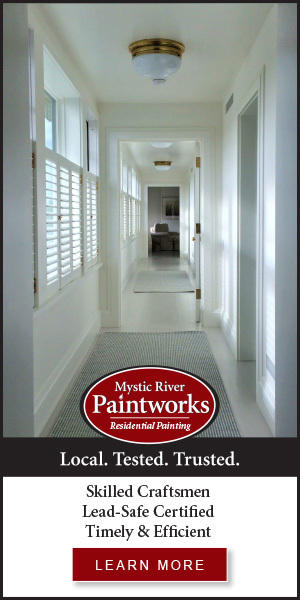 If you’re heading in for holiday shopping or museum hopping, here’s a list of a few we loved. My sister Billie and I, given the opportunity, can turn lunch into a three hour-plus affair. 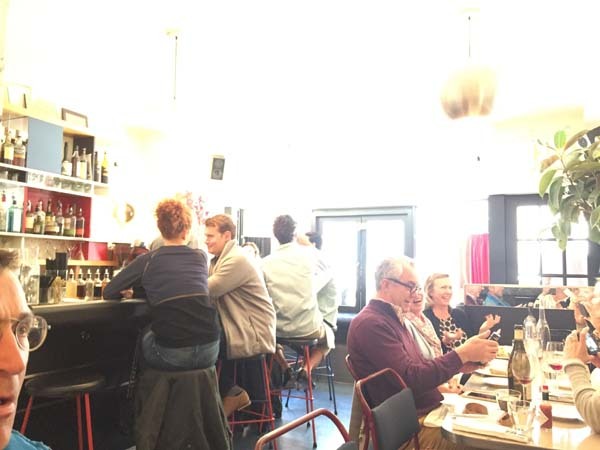 We’re big fans of Buvette, but it’s not the right place for a leisurely afternoon (those teeny tables), so we headed to their sister restaurant, Via Carota. We had lots more room and the extensive menu of Italian-accented small plates was right up our alley. To us, small plates means you can have more, not less. Let’s just say we didn’t hold back, and ordered A LOT plus a few light and tasty cocktails (it was sister lunch after all). 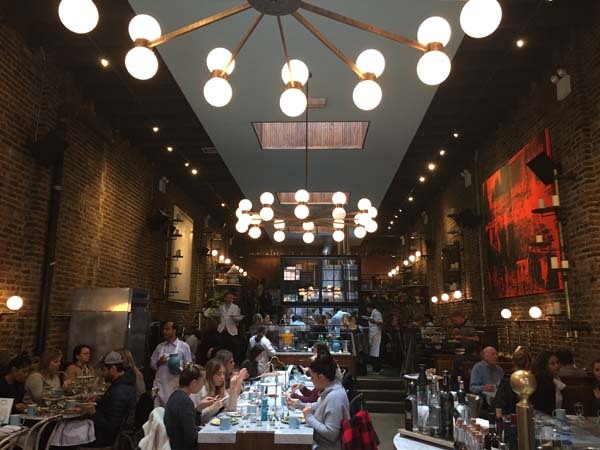 This spot will please the most persnickety eater, whether gluten-free, vegan or meat monger. 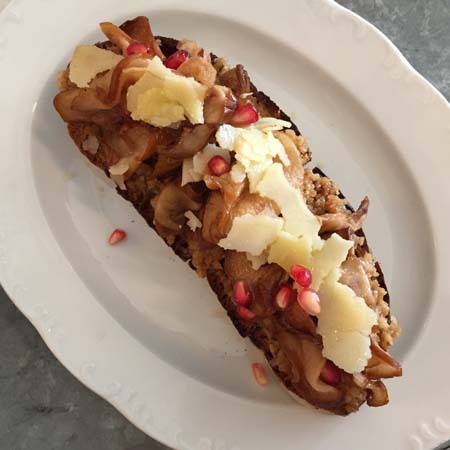 A bruschetta topped with dried pears, parmesan, pomegranate, and walnut pesto was bursting with flavor. 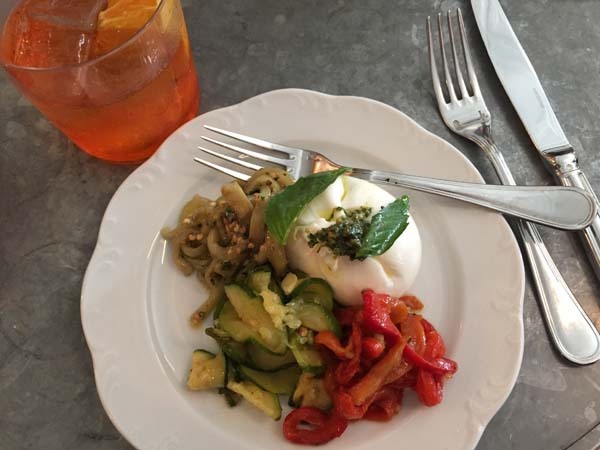 Oozing burrata with delicate piles of roasted zucchini, pepper and eggplant was a treat. 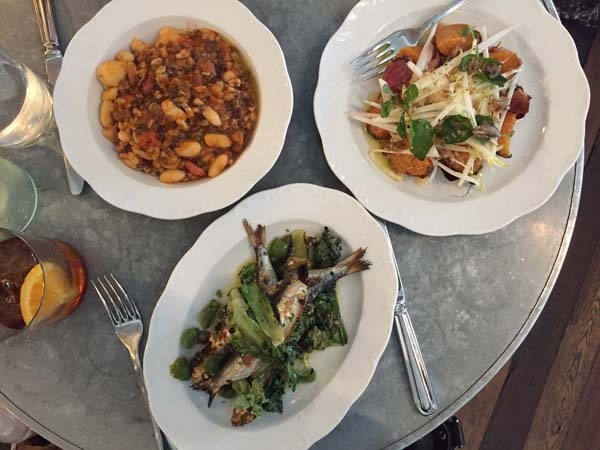 Fresh sardines with escarole was my sister’s favorite, while the white beans, farro and ham was a filling Fallish stew. 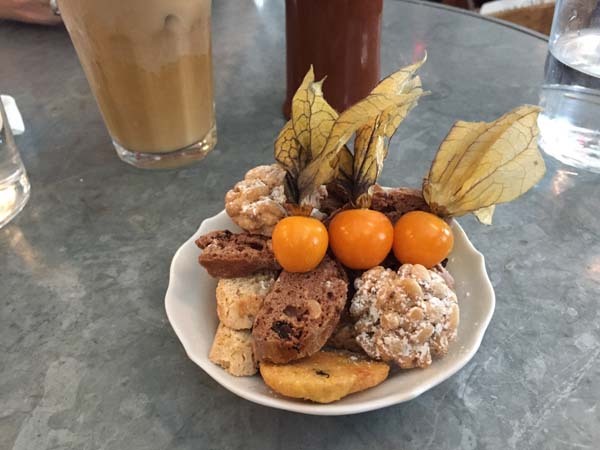 Every dessert sounded amazing (affogato, chocolate semi-freddo) but have the biscotti: teeny weeny morsels of cookie were the perfect ending (three hours later) to a memorable meal. I’m surprised they didn’t kick us out, as we were the last ones lunching, transported for a few hours to a cafe in Italy. We loved everything, our food, our server, the bread, and the fact that nobody seemed to mind at all that we were still there at 4pm. I’m mad for food in bowls, always have been, and so glad the rest of the world has caught on. 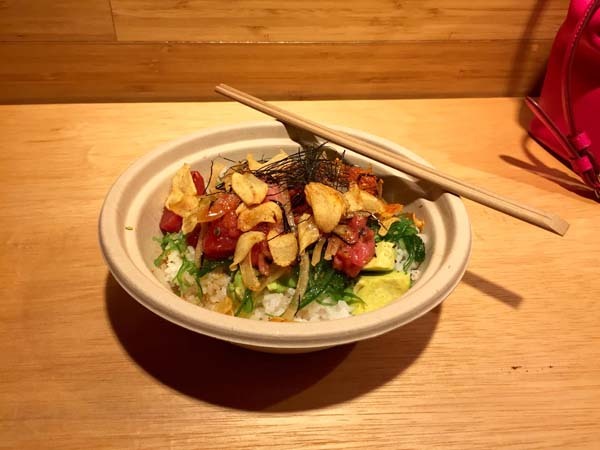 While poke bowls are tough to find around the Shoreline, they are ALL over NYC. And we heard Chikarashi had one of the best so we raced right over. If you’ve not yet heard of the craze, this Hawaiian import is a mound of rice, covered with raw tuna or some other fresh delicacy, with mysterious sauces, avocado, and other choose-your-own ingredients. This is no sit-down affair at Chikarashi, but a great place to grab a healthy meal if you’re shopping downtown. Place your order, grab a stool (if you can) at the mini counter, and a few minutes later, voila! An incredibly yummy treat will sustain you for the rest of the afternoon. And if you’ve still got room, definitely have the Dole whip pineapple soft serve. We finally got to Russ & Daughters Cafe, a full two years after they opened, mainly because this place is always packed. A great idea is to go in-between times – we tend to call this linner. We were so glad we had waited it out because it was an opportunity to take my dad. He lives in New Orleans, foodie heaven yes, but forget about bagels, lox and all the accouterments. 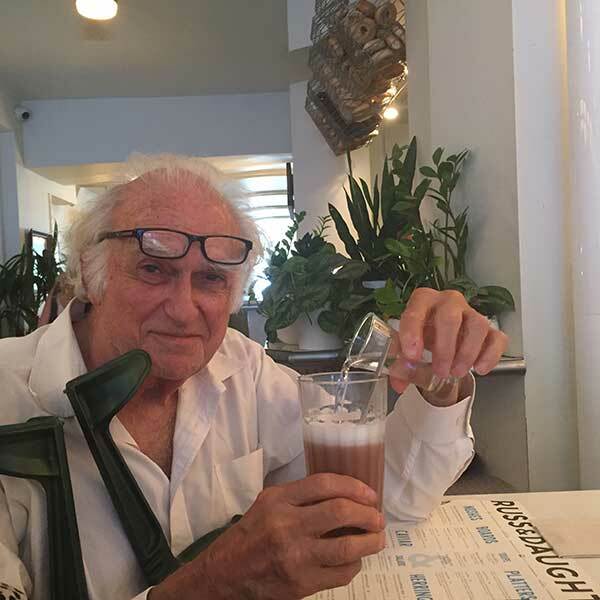 As he happily added a shot of vodka to his egg cream (and they promised to name this drink after him), we ordered half the menu. While it’s always hard to skip a good matzoh ball soup (we didn’t), definitely try the creamy, salty White Fish Chowder. 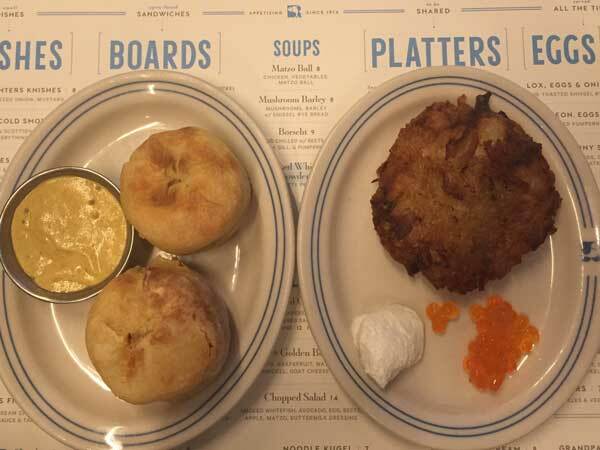 The latkes were perfection, crispy and cooked through with a generous portion of red salmon roe. Kasha Varnishkas, a mixture of bow tie pasta and groats, the bane of my childhood, here are ethereal, much improved by caramelized onions and a poached egg. 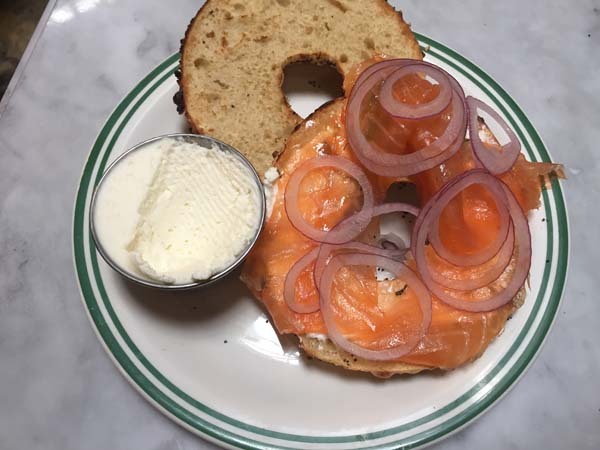 But I’m a classic girl, and thoroughly enjoyed my bialy piled with the slimmest slices of nova lox. The staff here is fantastic, they enjoyed our enjoyment so much we were treated to a bunch of desserts. 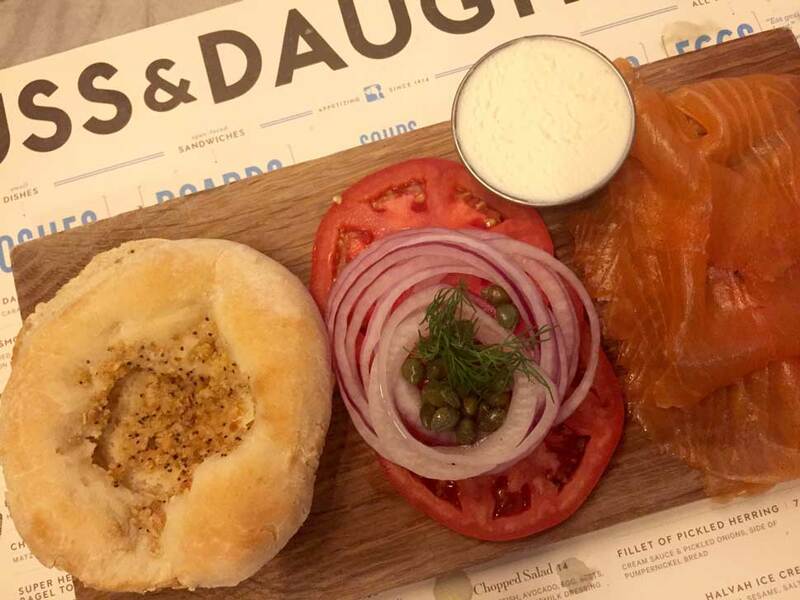 While Russ and Daughters has been in my family for as long as I can remember, the cafe will be my go-to for linner forever after. My dad with his spiked egg cream! Bagels, something I’ve resisted for a long time, were a common theme on my recent jaunts and we heard Sadelle’s freshly baked bagels were up there, so we headed here for our final breakfast. The lofty space on West Broadway reminded me of the bar that I THINK was in the same spot in the 80’s, all red brick walls and high ceilings. I’m much more suited to breakfast than bars these days, but it was nice to reminisce for a moment before tucking into an everything bagel platter. These babies were being baked right behind our table and arrive practically steaming. 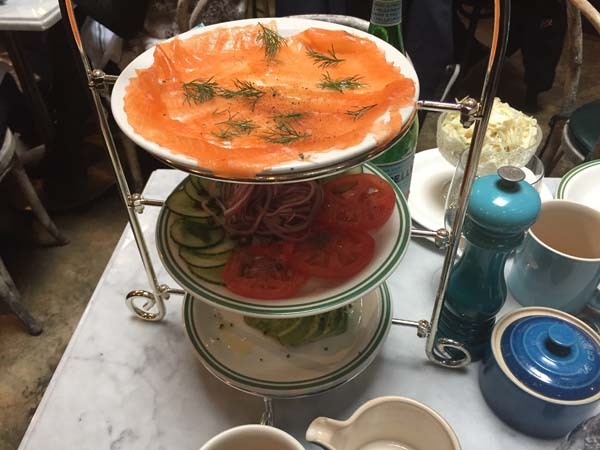 The fixings come in one of those tiered plates normally reserved for shellfish plateaux, with everything you need to personalize your breakfast: capers, onions, tomatoes and nearly translucent slices of lox. 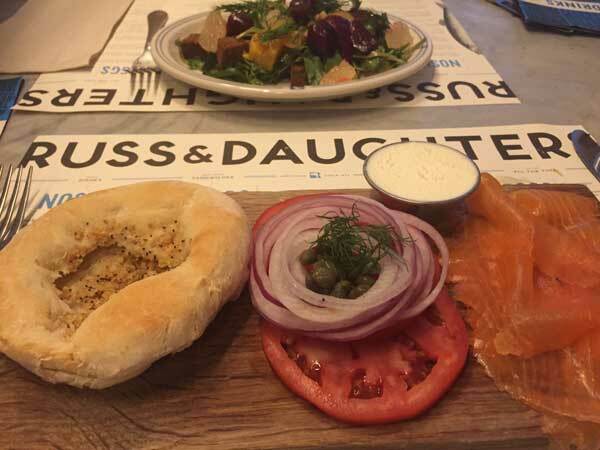 The Bloody Mary is absolutely worth having, the service efficient, and if you can’t get in to Russ and Daughters and need a Jew food fix, this is your spot. Do NOT leave without a chocolate babka to go. Only half of it made it back to Connecticut. 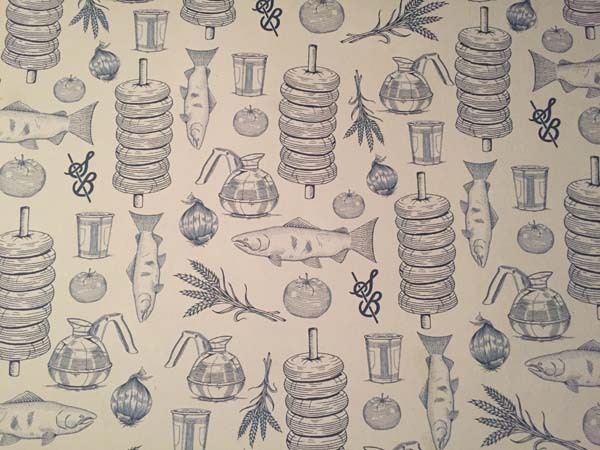 The wallpaper in the loo. One reason to stay at 11 Howard is you’re right next door to the super buzzy Le Cou Cou. Another difficult reservation, but if you’re planning a celebratory night out, this could be your answer. 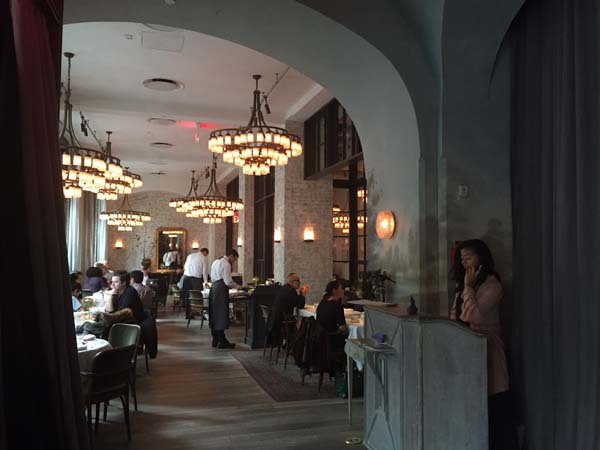 I loved it from the moment I entered…a vast room with high ceilings, painted brick walls, oversized chandeliers, big round tables and plenty of elbow room; a mix of modern and old New York elements that screams sophisticated, yet oddly cozy. The open kitchen creates a bit of excitement and the stream of servers, maitre d’, captains and bussers seemed to outnumber the patrons (even though it was a full house for our 5:30 reservation on a Sunday night). 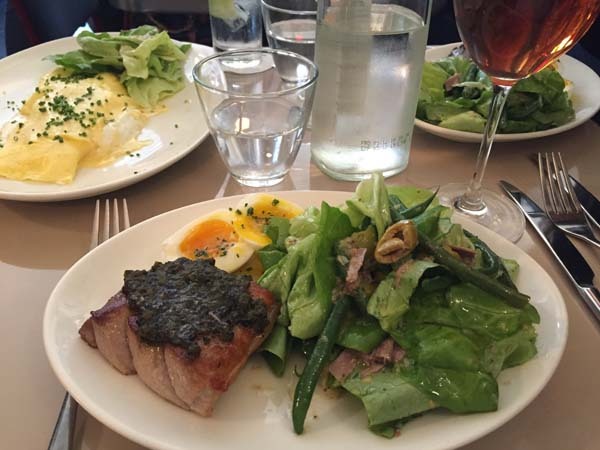 While the menu is classically French, adventurous diners will love it here: my husband who will eat ANYTHING had difficulty choosing between tete de veau (head of veal) and tout le lapin (the entire rabbit!). Ultimately, he went with rabbit and was thrilled with the preparation and presentation in three smaller courses. Me, I’m a classic girl, and couldn’t resist a perfect Sole Veronique, a generous filet topped with peeled grapes and buttery chanterelles. This is the sort of place where they explain the bread and varieties of butter, but our devoted server was not in the least snooty and advised us well in terms of courses and wine. 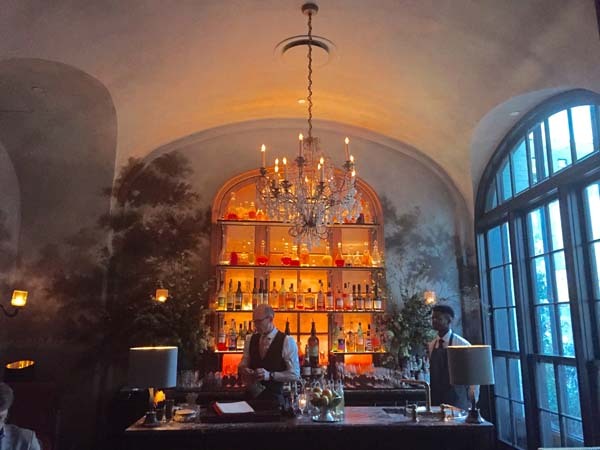 While we had the first seating, we were not rushed in the least and relished our time in the elegant room among impeccably turned out New Yorkers. A treat. Breakfast (which we hear is a delight, brunch and dinner, with lunch coming soon). After a big dinner, sometimes one finds oneself hungry in the morning but craving healthy. 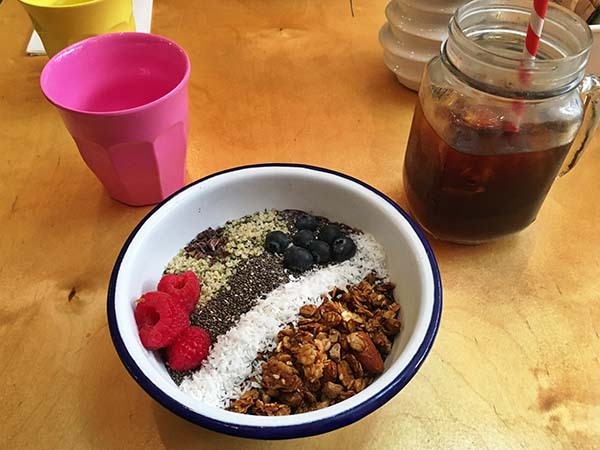 An Acai bowl (me and my bowls!) was in order and I tasked my daughter with finding an The E List worthy spot. She nailed it. Just a few blocks away was Two Hands, an Australian accented, hipster haven with fantastic coffee (it’s pretty hard to get a good heart with an almond milk cappuccino, but they did…TWICE). Wedged between Chinese markets on Mott Street in Chinatown (you’ll think you’re on the wrong block, but no), this place is downright adorable. The food, the waiters, the customers, everything. And the Acai bowl was exactly right and just what we needed to energize us for a day of museums and shopping. You’ll also find the ubiquitous avocado toast, eggs all way, and (according to my husband) a fantastic chocolate croissant. We, somehow, abstained. A few days later I saw a write-up in Bon Appetit on their banana bread, so next time that’s what I’ll be having. Okay. 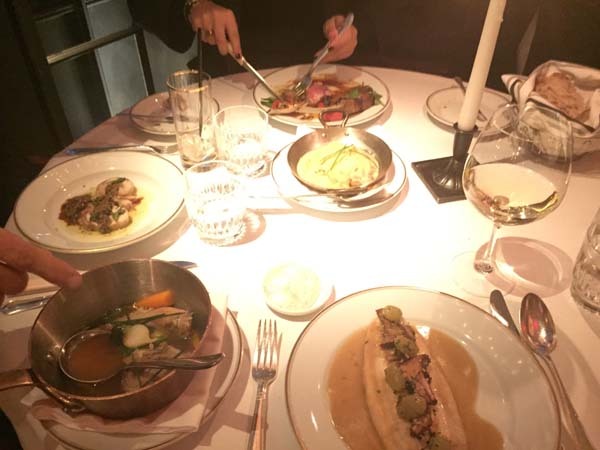 This French spot is so hot right now, forget about getting a reservation. But we squeezed in for brunch to get an idea of it, and squeeze is the operative word. Mimi is mini. The place seats about 15 people. The lively group of eight next to us were French, which always bodes well for a French restaurant. And so was our waiter (even better). We chose carefully from the limited menu: for me, a gorgeous Nicoise salad with a hunk of the freshest blue fin tuna, barely passed over the grill and a perfect boiled egg. My husband tucked happily into a runny omelet stuffed with boursin, and we couldn’t resist a big bowl of skinny frites. Our extremely charmant server insisted we come back for dinner, but I think we’ll need the insider phone number, at least for the foreseeable future. But brunch was lovely indeed. 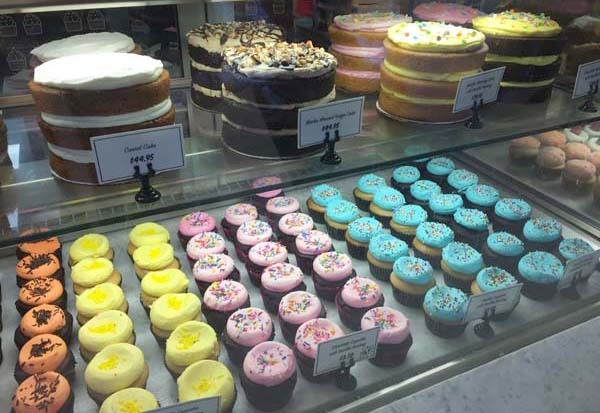 Skip dessert at Mimi and head down the block to Chloe Sweets. As you line up at the counter, the realization hits you that practically everyone in NYC is gluten-free these days. Piles of the most gorgeous cupcakes, racks of layer cakes slathered in frosting, fat cinnamon buns are ALL free of the current nasties: dairy and gluten. It’s hard to believe, right? While the cupcakes were certainly tasty, the pumpkin glazed cinnamon roll was out of this world. If you’re in need of a gorgeous birthday cake for a friend or family who has dietary limitations, a cake here would be worth the trip. Read Where To Stay here. Read Where To Shop here. Shopping NYC 2016 Breakfast All Day at Rise in Mystic February 13, 2013 Pretending We’re in Paris (in NYC)!